This humanoid figure is made of stitched together cloth, its offset glowing eyes revealing a swirling nebula of spiritual energy within it. At its creation, a stitchgeist selects three class grafts. A stitchgeist may have the benefits of any one class graft at a time. As a full-round action and by expending a resolve point, a stitchgeist may change which class graft it’s using. The default stitchgeist presented above currently has no class graft active. Most stitchgeist are created with envoy, mystic, and soldier class grafts, but many created for specific purposes use other class grafts. By taking ten minutes, a stitchgeist can change which skills are its master and good skills. The default stitchgeist presented has Diplomacy, Mysticism, and Physical Science as its master skills and Engineering and Piloting as its good skills. Despite the cycle of life and death being an implacable law of the universe, it can be perverted with incredible regularity. 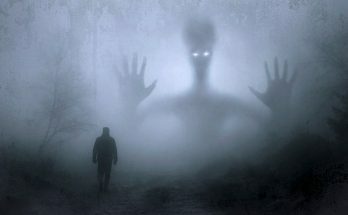 There are hundreds of potential circumstances that could lead to a creation of an undead entity, from the method of death to the desires of the individual to what happened to the body after death. However, most consider such cases to be fairly rare due to the how infrequent undead are despite the circumstances. At first glance, this seems to be the current point of view. After all, if everyone who wanted revenge became a revenant or everyone who died at sea became a draugr, civilization would soon be overwhelmed by a tide of undeath. But while it’s statistically rare for the undead to actually be created, the circumstances still wrench and tug on the souls involved. In particularly severe circumstances, just a hair shy of actually creating the undead, souls can actually be damaged and split by such forces. Rather than create an undead creature, a piece of the soul is left in the material plane, usually in the location of the body but sometimes in a relevant location separate from the actual corpse. Those with the knowledge, talent, and resources can make use of such fragments to create the undead abominations known as stitchgeists. Rather than use an entire soul from a single being, many soul fragments are bound together into a single physical shell to form a fragmented mind that draws from all of its component parts for knowledge and skills. The first step to create a stitchgeist is to build the shell that the spirits will inhabit. The most common method is to stitch together a simple hollow body out of some kind of cloth and attach the relevant sigils and runes to its interior. Those who want higher quality or simply a more streamlined appearance tend to put more effort into it, constructing more elaborate bodies with stronger materials. The customizable nature of their bodies means their appearances vary wildly. A stitchgeist could appear as a moving mannequin, a security robot, a normal person covered head to toe, or even a simple zombie. So long as the shell can bear the inscriptions it can appear as anything, from rags to a corpse. Many also take steps to customize their stitchgeists, adding decorative features and designs to make them look unique or denote specific identities. Despite this, the make of its body has no real impact on its durability. A stitchgeist may appear to be nothing but inflated cloth, but it can take just as many hits as one carved from metal. The next step is to bind the souls into the body. Fragments in locations tend to be easier than those bound to objects or their own corpses, as such instances tend to have been formed from a single potent moment rather than longer-term exposure. In any case, the binding is always easier if a fragment of the currently bound location, item, or body is incorporated into the shell. To abide by this, most make sure to locate the soul fragments they intend to use before constructing the shell, collecting pieces of rock, wood, metal, or bone to use in their creations. After the body is built and the spirit is bound, all that is left to do is wait as the component spirits react and settle in. During this period the fragments break down and merge, fusing with like fragments and cannibalizing those too weak to contribute anything to the gestalt for power. By the end of this stage, the dozen or more spirits in the body are reduced to a smaller number, usually between two and five. These larger spirits are those strong enough to avoid being consumed and likewise too weak to consume the others. Instead, they settle into a form of symbiosis, with one taking control of the body while drawing on the others for knowledge and information. If one spirit remains in control too long the other will revolt and seize control, with a new primary role and accompanying skills. These spirits tend to also develop their own fragmented personalities, meaning that a change in controlling mind comes with a change in tactics, attitude, values, and sundry other features. Those who seek to use stitchgeist must keep this in mind, as a stitchgeist dispatched for a specific task may change to a dominant spirit whose personality and methods are inefficient in such an arena. However, one thing those who fight stitchgeist must keep in mind is that though they may put on a show of being individuals they are still the fractured remains of many people forced together. Even at their best, a stitchgiest has many fragmented and often contradictory memories that cause them to act slightly differently depending on which memories they’ve most recently used. Stitchgeist are primarily created by those who desire versatile minions. A smooth-talking envoy, a tech-savvy engineer, a hard-hitting soldier, all of these can be found in a single stitchgeist. For those who want to put on a presentable public face, their stitchgeist tend to use their disguise self to pose as living beings, though an in-depth conversation with them tends to reveal the cracks in their personalities. Sometimes their creator will form different relationships with the different personalities within a stitchgeist, treating it like several different individuals. In the worst cases they tend to view a stitchgeist as their friends, leaving them distraught should it be destroyed. Increasing the CR: If you’d like to make higher CR stitchgiest, you have two options. The first is to increase its hit die, ability scores, and other features as normal, with the bonuses of its class grafts increasing to match the newly applicable CR. The other is to use classes instead of class grafts, giving them three sets of class levels, each of which would bring it up to the desired CR, and have it switch between those using its Shifting Mind ability.